I have similar posts for this activity on 2017-08-28, 2017-09-22 and several previous to that. 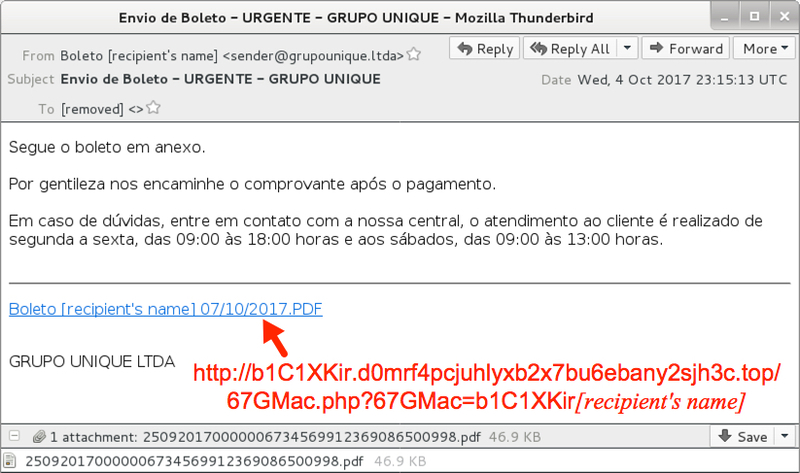 As usual, the PDF attachment has a different link than the email, but they both redirect to the same URL to downloaded a VBS file. Shown above: Screenshot of the email (1 of 2). 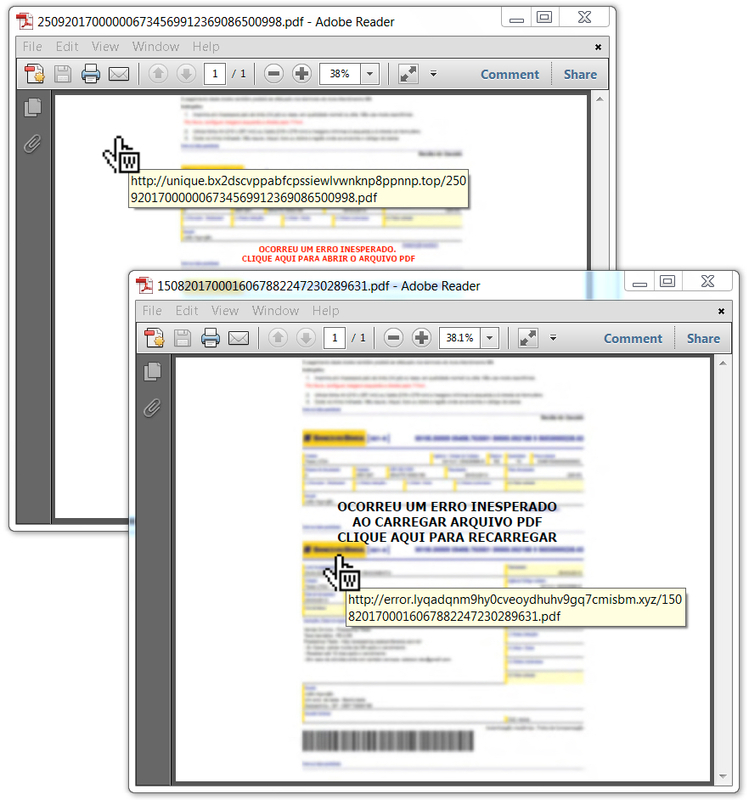 Shown above: Screenshot of the email (2 of 2). 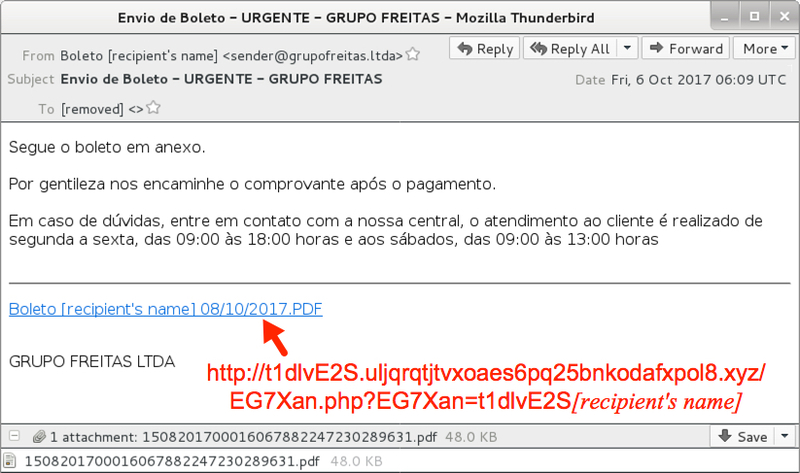 Shown above: Whether email link or PDF link, you end up with the same file from sendspace.com. See below for a full infection chain. 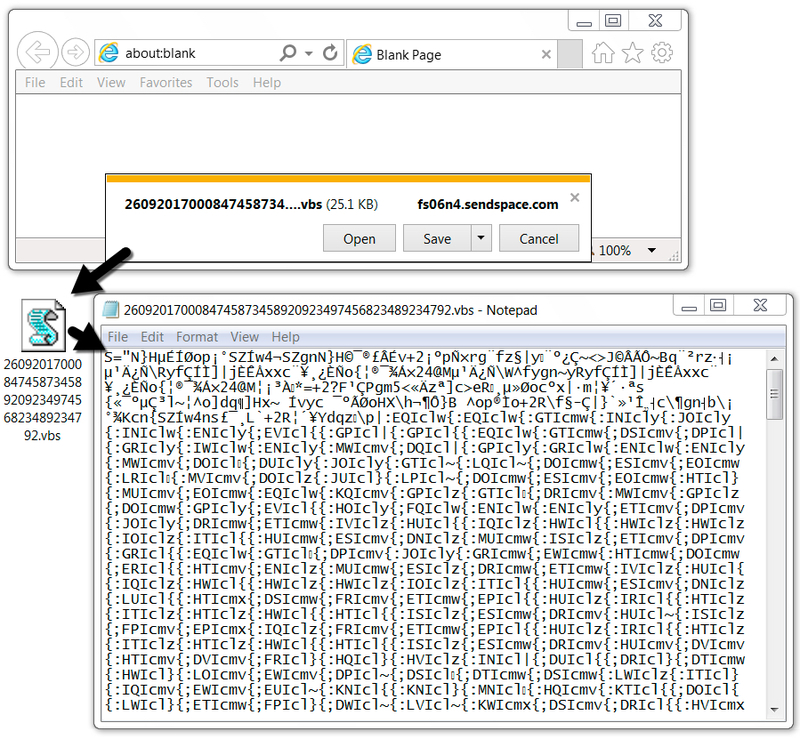 NOTE: Many of these files are not inherently malicious. 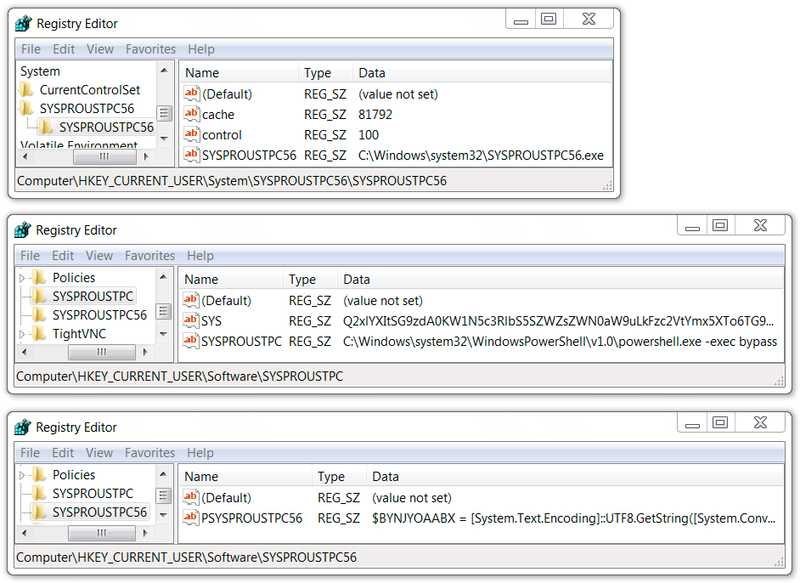 For example, ps.exe is a legitimate executable for Powershell. However, they are being used in a malicious manner. Shown above: Windows Registry updates on the infected host.